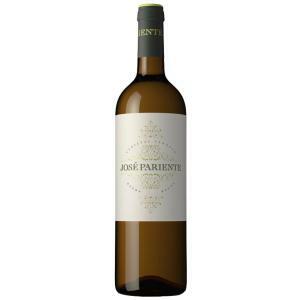 Bodegas José Pariente elaborates this 2017 José Pariente Verdejo ($12.15), a white wine from the region of Rueda based on the best verdejo from 2017 and comes with an alcohol content of 13%. The 2017 José Pariente Verdejo is the ideal white to combine with serrano ham and soft cheese. 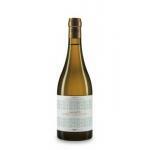 3,9 of 5 points is the average score of this white according to Uvinum users while experts give the following evaluation: robert parker: 92 and peñín: 91. Innovation, respect, technology and passion are at the heart of José Pariente Verdejo 2017. 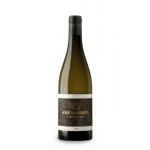 This great white wine is elaborated at the winery José Pariente. Victoria Pariente inherited her father's dedication and love for wine. Nowadays, her daughter, Martina Prieto, helps her to run the winery. In the winery as in the vineyard, Victoria maintains her father's commitment to the pursuit of excellence. That is why the José Pariente Verdejo has become this area's emblematic wine. It is made with grapes from 30-year-old family-owned vineyards and other small winemakers' old vineyards. The José Pariente Verdejo 2017 offers excellent value for money. 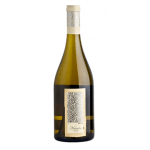 It is an outstanding wine with a certain smoothness and everything you can expect from a Verdejo in terms of freshness, acidity, herbal and floral aromas, and the characteristic bitter touch. 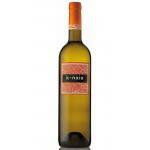 It is especially indicated for aperitifs and delicious dishes with fish, seafood, fresh pasta and white meats. Moreover, it pairs well with soft cheeses, smoked fish and cold meats. - View: bright straw yellow, greenish reflections. - Nose: intense, fruity (with aromas of peach, pear, citrus, fennel, underbrush and balsamic), elegant, complex. 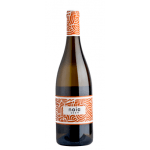 - Mouth: unctuous, with fresh fruit, sweet, elegant, with the soft and characteristic final bitterness of the verdejo. Persistent and complex and intense retronasal. ELABORATION: cold maceration (8-12 hours). After a pneumatic pressing, alcoholic fermentation at low temperature in stainless steel tanks. The wine remains on its lees until bottled. WINE PAIRING: Starters, appetizers and canapés, cheeses, soft cheese, rice, vegetable risotto, shrimp risotto, ham and sausages, serrano ham, meat, white meat, rices, paella, fish, blue fish, white fish. It 'a good wine aroma but very hard and heavy. Shortly digestible unkind. Not elegant. I would not recommend. Buy this target since 2017, perfect for summer, fruity, fresh, easy to drink without being vulgar, excellent value for money, great wine in its category. The normal colour, deep yellow. Clear memories of white flowers. Light wine, more than expected. Goes great with "Paella rice". An ideal wine to give as gift. Of a very light yellow colour. Perfume of white flowers: jasmine, lilies .... A surprisingly fresh wine. If you want to buy 2017 José Pariente Verdejo, at Uvinum you will find the best prices for Rueda white wine. Save money with Uvinum, comfortable from your couch and with all the guarantees. We have over 59.000 products for sale which makes us the leading marketplace for wine, beer, and spirits in Europe thanks to more than 38.000 customers who shop at Uvinum.